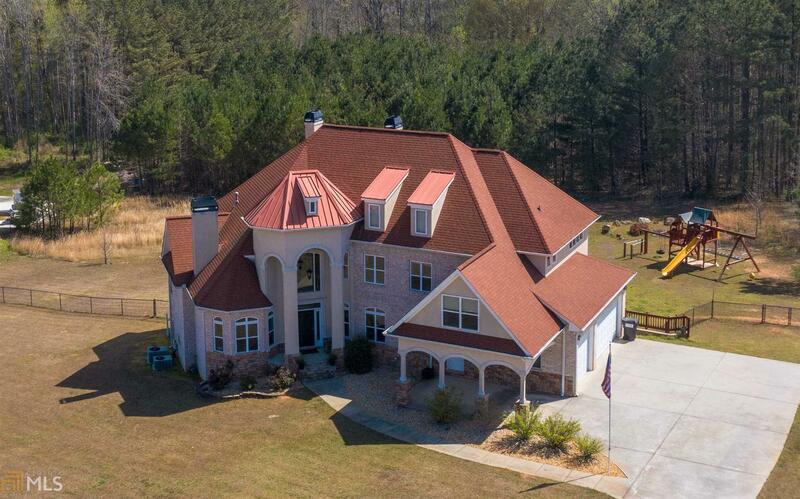 Show Stopper Custom European Home on 2 acres! The spiral staircase makes for a grand entrance! See natural light at its best with the two story living room and dining room. Open kitchen with custom cabinetry. Wrap around back porch connects living area to the Master on Main! Master bedroom features a large bathroom suite with custom cabinetry and tile work in shower, large tub and a walk in closet large enough to be a bedroom! Upstairs find a study (5th bedroom), two bedrooms connected with a jack-n-jill bathroom and a larger 4th bedroom with a private full bathroom. Have a soccer player? Practice in the soccer room with professional turf in the basement! Fire ladders installed on third story bedrooms! Rinnai tankless water heater! Appointments only! !